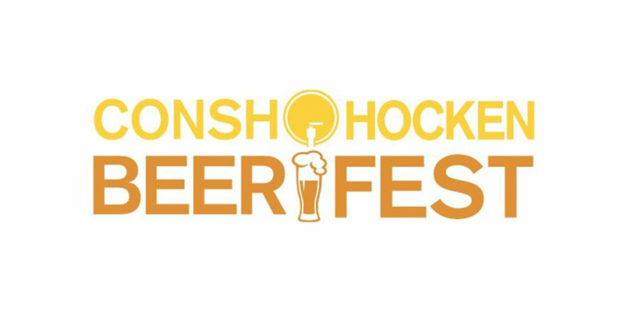 Twin Lakes will be featured at the Conshohocken Brew Fest on October 14th, come show some love if you’re in the area! The fourth annual Conshohocken Beer Festival presented by GMH Mortgage Services and The Courts at Spring Mill Station benefiting The Conshohocken Plymouth Whitemarsh Rotary is being held on Saturday, October 14th from 1:00pm to 5:00pm at A. A. Garthwaite Stadium in Conshohocken. The event will feature over 50 local, regional and national craft beers, plus local food, tailgate games and live music. The event always sells out several days prior the festival, so get your tickets now! Please note that when tickets are purchased, you will be asked to provide a name and email for each ticket. This is to allow us to communicate with everyone planning to attend the event by email with important information leading up to the event (parking, shuttles, etc, etc.). Please note that the tickets are transferable. There is very limited parking at the event site. Shuttles will offer service from various locations around Conshohocken (locations TBA) to the venue beginning at 12:30 p.m. There will be food, music and games available starting at 12:30 p.m.. You are strongly encouraged to take a shuttle or walk. The beer will start being poured promptly at 1:00 p.m. Details on shuttles and parking will be emailed to ticket holders the week of the event. Take the shuttle or walk! This is a rain or shine event and there will be no refunds or exchanges. In the event there is severe weather or another uncontrollable condition that forces a cancellation, there will be no refunds or exchanges. 100% of the ticket revenue for this event benefits the Conshohocken Plymouth Whitemarsh Rotatry, which provides Thanksgiving meals to those in need and assists the Colonial Neighborhood Council (CNC) in providing holiday gifts for local children, as well as giving support and assistance to other programs and projects with the CNC. Proceeds from the festival will support these and other various philanthropic efforts for which the club is known.